If you’re talking to a heroin user, don’t be surprised if he or she falls asleep as you’re talking. 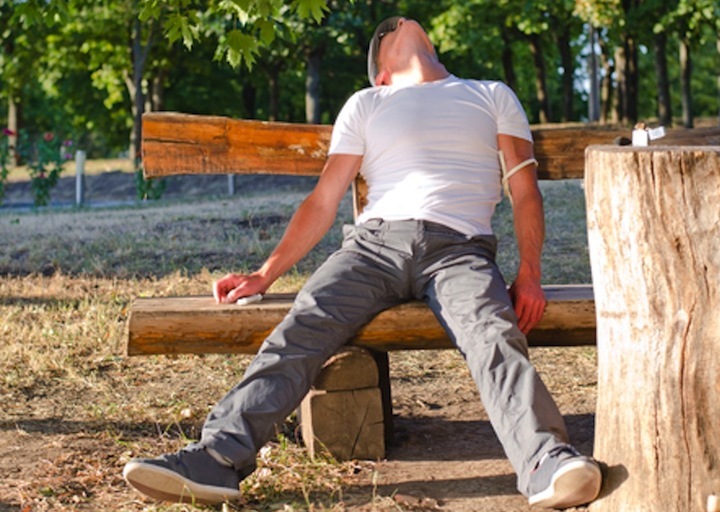 Heroin sedation or more accurately over-sedation is esoterically referred to as “nodding out.” This phenomenon occurs because heroin and other narcotics sedate the brain. Yet heroin sedation is very much dependent upon the dose. If a large dose is used it may result in unconsciousness (sedation), but if too much is used it can lead to coma or death. One of the paradoxes of heroin use is that if the dose is small enough it can actually result in a stimulant type effect. It is not uncommon for a heroin user to shoot up and clean the house, instead of nodding out. This paradoxical result is an indication of a small dose or weak heroin.